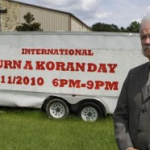 On Mediaite today: in news that bucks the stereotype, FOX is apparently the network that has done the least to fan the flames (pun intended, and I’m very sorry) of Pastor Terry Jones’s Quran-burning controversy. The network has actually mentioned the story fewer times than MSNBC or CNN, and the network’s president has now announced that they will not cover the event at all (that is, if it actually happens as planned). FOX does not usually shy away from associations with controversy, so this is an interesting turn of events. It’s a decidedly smart move in at least one respect, though — it ensures that the network itself remains a hot topic of conversation. Get it? “Hot” topic? Read the full post here. 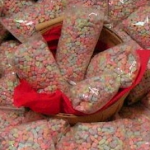 A THOUSAND TIMES YES: Geekosystem has discovered a website that will sell you bags upon bags of delicious, slightly chalky Lucky Charms marshmallows. 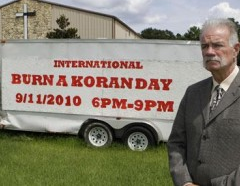 Though the site is a little goofy-looking, it’s not like they need to work very hard to sell their wares. 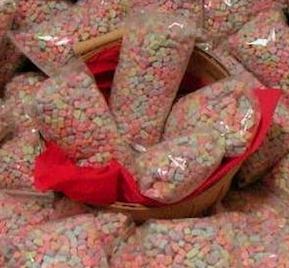 Who among us has not labored to sift through a box of Lucky Charms cereal to get to the marshmallows, the only things that really mattered? Who hasn’t wished that the cereal obstacle could be done away with altogether? Who hasn’t yearned to watch multiple online videos of some dude eating cereal on the company’s web site? I’ll tell you who: no one. To read the full post and feast your eyes on these bags of teeth-rotting deliciousness, click here. Styleite has a recap of the premiere of the gazillionth cycle of “America’s Next Top Model.” In this week’s episode, one model learns the valuable lesson that, like Checkhov’s gun, a diary entry in which one writes “Ew. Almost had to room with a black girl” shown in the first act must inevitably turn into accusations of racism in the third. Although — the word “accusation” implies some ambiguity, which doesn’t really seem to be the case here. She got hers, though, and was eliminated that very episode. It’ll be interesting to see if Tyra’s dream of a high-fashion winner comes true (given the track records of previous winners, though, it doesn’t seem all that likely). To read the full recap, click here. Well, this is just silly: Sportsgrid has unearthed the website of a fictional character named “Mrs. LeBron Wade,” who exists in a world where “LeBron announces his decision to marry Dwyane Wade on national television, they get married, adopt Chris Bosh as their son, and spend time adjusting to life as newlyweds in Miami.” Indeed. It’s kind of impressing and horrifying (horpressing?) how much care and time went into the creation of wedding photos, birth announcements, and candid paparazzi snaps of Mrs. Wade shopping with BFF Rihanna. To read the full post, click here (but be warned that baby Bosh pictures are not for the faint of heart). 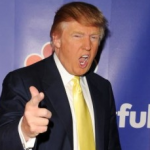 Gossip Cop reports that Donald Trump has offered to buy out the investor in the so-called “Ground Zero Mosque.” Trump cited a desire to end the cycle of controversy and anger that has plagued nearly all conversations about the mosque’s construction. It’s unclear why being bought by Donald Trump would make the site of less interest to the public, and it’s definitely yet another example of Trump’s mystifying hubris. What’s next, the winner of the latest season of “The Apprentice” gets to design zillion-dollar condos to be built on the site? Get the full post here.